We offer Dependable & Affordable Child Day Care Services with a SMILE! Monday - Friday ~ 4:00 AM to 6:00 /6:30PM. * AFTER 6:30 PM ~ It's considered overtime for me: Over time fee's = Could total an ADDITIONAL $3.00 per 1/2 HR for one kid + $1.00 each additional kid per family per 1/2 HR. I AM Licensed till 10:00 pm in case of emergencies & because I am an IL STATE LIC DAYCARE HOME I can only have children in my care as late as 10:00 pm. So ~ After 10:00 we are required by law to start calling people on your emergency contact list to come and get your Children immediately. PLEASE Respect my family & try to be on time ~ REMEMBER evenings are my family time. When you are late this cuts into MY PERSONAL TIME. I prefer NOT to babysit on the 4th of JULY but providing it falls on a week day, (and my family does not go out of town or camping) I may consider it (*at an additional cost*) ONLY IF you are WORKING & have no other options. My DaYCaRe could close as early as 4:30 on ALL Holiday Weekends and the day before holidays that fall on a weekday. PLUS ~ We used to spend all holiday's and most summer time weekends OUT OF TOWN &/OR Camping. This is something we haven't done in several years but would like to get back into? My family occassionally takes a one to two week vacation (Usually at the end of June - first week of July). You will be notified in advance if we decide to go anywhere. Arrangements can be made for a substitute sitter to come here if needed as long as I have your schedules ahead of time. Like Birthday Parties & More! BUS INFO: SCHOOL KIDS ~ The Bus picks up & drops off school age kids (Kindergarten & up) at the highway at the end of our lane. Either I or one of my children &/or assistants will supervise kids getting on & off the bus. PRE-K ~ The bus pulls right up to our front door and either I or my assistant will put the kids on the bus and buckle them in each day. Operating Hours ~ ( 3:30 am to *6/6:30 pm Mon-Fri ) *Note I am Licensed till 10:00 pm, IF NEEDED later pick up times are nagotiable with possible overtime fees added to your bill. * NOTE: Detailed info &/or pictures of activities can also be found throughout this website. Some subjects ( underlined ) are linked to pages where detailed info is located. 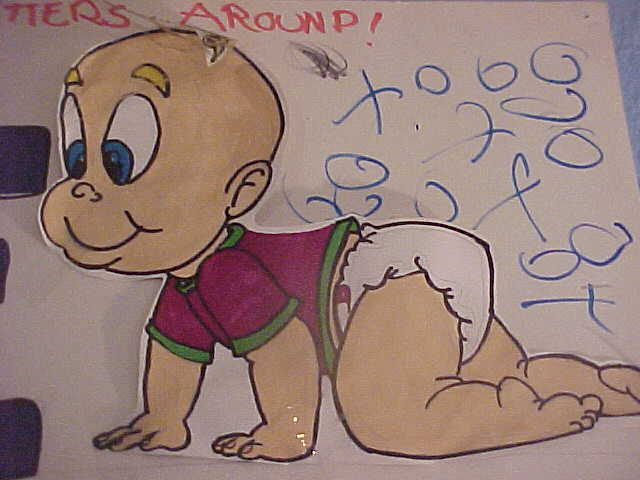 * ( MoM & Me DaY CaRe has been an operating Babysitting Service since 2000.) We became an Illinois State licensed In-Home Day Care in 2004. But I have over 35 yrs expirience working with kids. * I can provide References if needed. * I offer healthy meals ( I'm enrolled in Day Care Resource Food Program ). * I offer a fun ~ loving, Christian home with age appropriate activities both indoors and out. * I have a BIG play yard with many things to do. * ( My Day Care ~ Play Room ) is located in a lower level of our home (It's actually a remodeled Attached Garage...I know what you're probably thinking, but you'll have to see it to enjoy it! You can't even tell it was ever a garage, to us it's just a room addtition to our home). It's filled with TONS of toys and lots to do! * Occassionally we offer supervised computer play. * I try to instill a FUN learning atmosphere with ( THEME DAYS ) and learning activities for all ages. * A paper Newsletter is occassionally handed out, But News Notes are sent via facebook message or email as needed. * I have an "Message Center" with Dry Errase Board to keep you informed of your child's daily routine as well as all DayCare, School, Family activities. 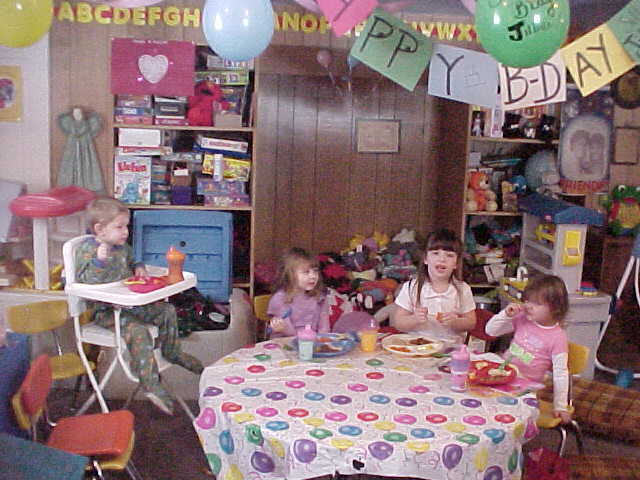 * I hold Special Holiday celebrations, All About Me Days and Birthday Parties for all DayCare kids. 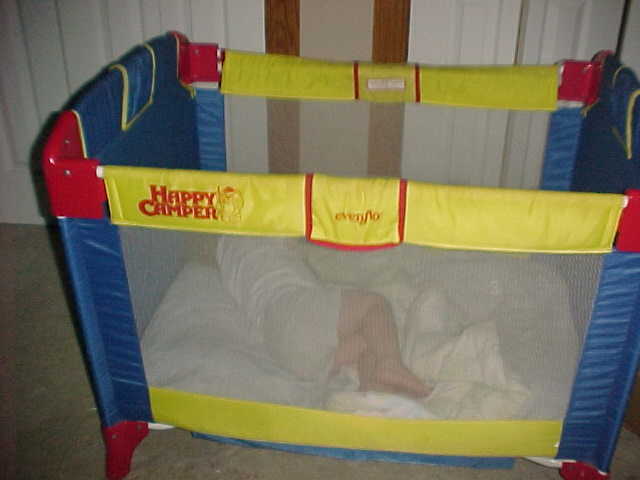 * A seperate "quiet" sleep/nap area with play pens for each Baby-Toddler is located away from the play area. It is equipped with Baby Monitors. "YOUR PAY DAY IS MY $PAY DAY!$"
*NOTE: There is a $5.00 Application Fee ~ Which covers printing and material costs. Once your application packet is totally and completely filled out and your child is enrolled in our Day Care, the $5.00 will be reimbursed-deducted from your first bill. *I charge a MINIMUM 1 HR Fee ~ reguardless of arrival/departure times. PLEASE NOTE: IF YOU FEEL YOU CAN NOT AFFORD MY RATES I AM MORE THAN HAPPY TO WORK WITH YOU ON A PAYMENT SCALE THAT WORKS FOR BOTH OF US! (A) Ages 1 - 5 @ $2.75 per HR + 2nd "Pre-School" kid ages 1 - 5 @ $1.00 per HR OR an additional .50 cents per HR each additional school age kid. My current "FULL TIME" (F/T) Weekly Rates: IF you prefer to have a set rate and not an hourly rate. Anything past 50 HRS per week &/or past 6:30 PM is considered OVERTIME and may be subject to additional OVERTIME FEES. *NOTE: ( FINANCIAL ASSISTANCE MIGHT BE AVAILABLE ) FOR QUALIFYING FAMILIES. * DUE TO CUTS IN THE STATE BUDGET BY OUR WONDERFUL GOVERNOR ~ ASSISATNCE FOR SOME FAMILIES IS BEING DENIED AT THIS TIME. IF you are approved, I am willing to work out a monthly co-payment arrangement that works best with families needing financial assistance. *MY DHS PAYMENT POLICY: Effective IMMEDIATELY ALL clients waiting to get DHS Assistance approval will be billed and will expected to pay a weekly bill in FULL every Friday. Those who can not pay their weekly bill in full will be asked to find alternate Day Care until DHS Approval for payments is received. Any/All payments made while waiting on approval will be decucted from your monthly "Co-Pay". Once we receive confirmation of DHS approval, we can then work out a monthly co-payment that is comfortable with both of us. PAYMENT IS DUE EVERY FRIDAY or YOUR PAYDAY, if you don't get pd every Fri. Even IF your Child is NOT in attendance on payday I STILL expect payment in FULL on payday! SUGGESTION: If you pay in Check feel free to leave a post dated check & I'll hold it until Saturday. Due to clients STILL not paying on time &/or skipping out on me and not paying at all, from here on out; *LATE FEES WILL BE STRICTLY ENFORCED! *PLEASE NOTE ~ I reserve the right to charge an additional $5.00 PER DAY late fee to clients who are repeated late with their DaYCaRe payments! ATTENTION: FYI ~ I have "auto pay" bills deducted from my Bank Account EVERY WEEK, & my Client DayCare payments are what I use to cover these Automatic Deductions. IF you neglect to pay me on your pay day, and as a result it messes up my bank account, YOU WILL BE CHARGED for the reimbursment of any/all charges which occur to my account by the bank due to your non payment. * I reserve the right to refuse service to anyone who does not make on time and/or make FULL payments for my services on the day the payment is due&/or their OVER DUE Bill exceeds $200.00. RETURNED CHECKS FEE: A $20 fee will be charged to you for all NSF Checks returned to me as well as reimbursment for any & all other charges, by the bank, that occur due to your returned checks. NO CALL NO SHOW FEE: PLEASE CALL or TEXT ME if you can not pick your child up on time OR if your child will be ABSENT! I reserve the right to charge for a FULL Day of Day Care (MINIMUM $10.00 per day) for a NO CALL/NO SHOW FEE (NC/NS) each time your child is absent and you do not call and let me know they will not be there on a regularly scheduled day, ESPECIALLY on days when I've hired a sub/assist to come in & help me! PLEASE respect my time ~ THANK YOU! NON COMPLIANCE FEE: (Effective June 1, 2007) I reserve the right to charge a $25.00 PER WEEK NON COMPLIANCE FEE to any parent who does not keep their child's medical records updated. REMEMBER: DCFS requires your records to be updated at all times. So EVERYTIME your child visits the DR for a check up &/or shots you MUST update your DaYCaRe records as well! PLEASE MAKE CHECKS PAYABLE TO: Mom & Me Daycare. On Time Payments are GREATLY APPRECIATED! And EACH School age family is asked to donate kleenex.